Vinyl Poised to Make Further Gains; Time To Ask, “What Does it All Mean”? Kids today, with their new-fangled desire to listen to music cut into grooves on big circular platters… Photo (CC-BY) Matthias Rhomberg. Let’s put some of this in perspective. 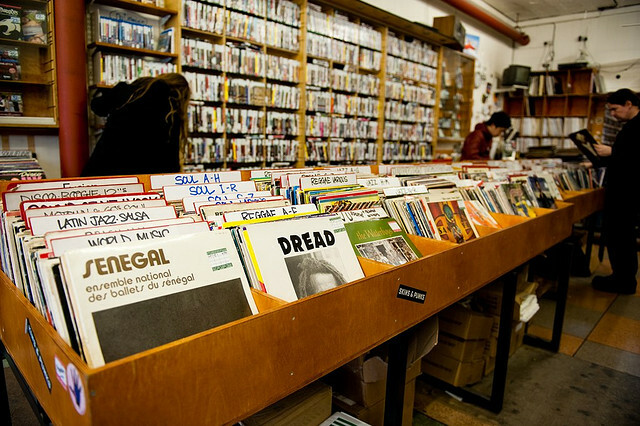 Even with explosive growth, vinyl remains at the margins, representing 1.6% of physical sales in the US. 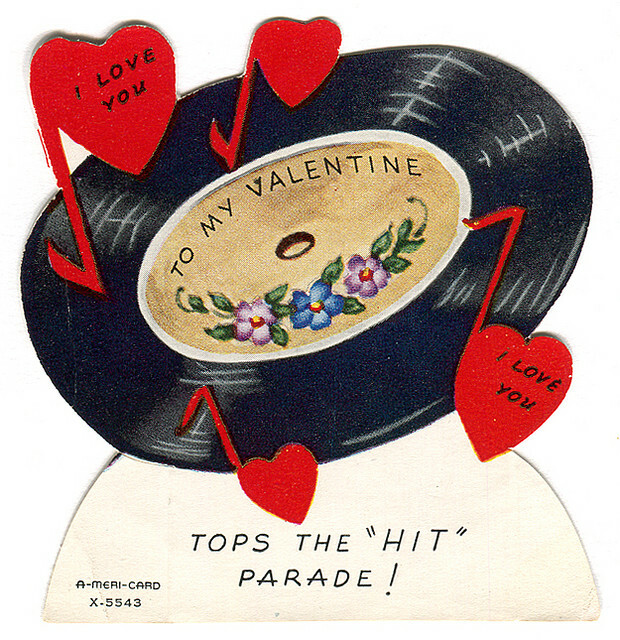 In fact, part of the fetish around vinyl is evidenced by the fact that people would make this headline news – fans of the vinyl record are understandably eager to hear their format of choice is doing well. As a point of comparison, in the last 30 days, just one independent band website, Bandcamp, has done US$640,513 in profit for its members. That’s profit, not revenue, and it’s often going directly to artists. The Vinyl Comeback, In Historical Perspective…. (Thanks, JP in comments.) That graph doesn’t show per-unit cost, and anecdotally, artists seem closer to the record release process than they once were. That said, vinyl’s significance in the new world order is arguably more about its cultural meaning than its numbers. (Getting away from numbers – cough, digital – is the point.) Cutting a vinyl record today is about making a physical artefact of a release. It carries with it prestige. Its scarcity is part of its value, with exclusive 12″ releases again returning to the days when DJs were judged by the obscure gems in their collection, not the disposable digital hits. Bringing tactile back. Records as objects are a pleasure; I’m the last person to argue there. There’s a ritual to putting on a record that changes how you feel about the music, versus the seemingly-infinite, ephemeral digital jukebox. Keeping vinyl DJing alive. At this point, it seems more about preserving the record and mixing rather than scratching, but vinyl remains essential for people DJing with turntables. Notably, unlike faking it with digital control vinyl, using actual records is also more reliable – a slight flaw or vibration won’t bring the whole mix to a standstill. (Analog most definitely fails more gracefully than digital.) That makes the presence of vinyl releases doubly important to getting to hear traditional DJ technique. Keeping the cutters, and players, in business. The demand for vinyl records, whatever may motivate it, means everything from turntable repair to disk lathe shops remain healthy. The sound is unique. I’m leaving perhaps the most significant point for last. The sound of vinyl does remain unique, precisely because of some of its limitations, and I don’t think any amount of fetishization would please some of its consumers if it didn’t sound good. Nuff said. Photo (CC-BY-ND) Karola Riegler Photography. When I spoke to Anika earlier this year, she brought up the economic point, too – that vinyl keeps things physical, and supports artists. Now, financially, it may be a tenuous point – look at those Bandcamp numbers – but “support” for artists is more than financials alone. And viewed in a larger effort to express the value of music in tangible form, vinyl makes sense. Vinyl, incidentally, doesn’t have a monopoly on tangible music. Even digital has made various plays on the concept – one of the most unique being Ghostly International’s effort last year to produce “totems” for Matthew Dear, physical objects that represented the spirit of the intangible music. Psuedo-science, go! Let’s face it: there’s plenty of voodoo around “digital,” and plenty of voodoo around “analog.” In the digital domain, the faux science tends to manifest itself as unsupported claims about the value of absurdly-high bit rates and sample rates, or, if you’re really unlucky, gold-plated digital interconnects. In analog, you’ll routinely hear people claim that analog captures “more” sound, because digital leaves “gaps” between samples, missing that both are constrained first and foremost by the transducers. Analog or digital, these are based on misunderstandings about fundamental characteristics of how sound is reproduced and heard from recording media. I think it’d be unfortunate if the genuine value of vinyl and the unique characteristics of its sound were obscured by claims about recording that simply aren’t true. 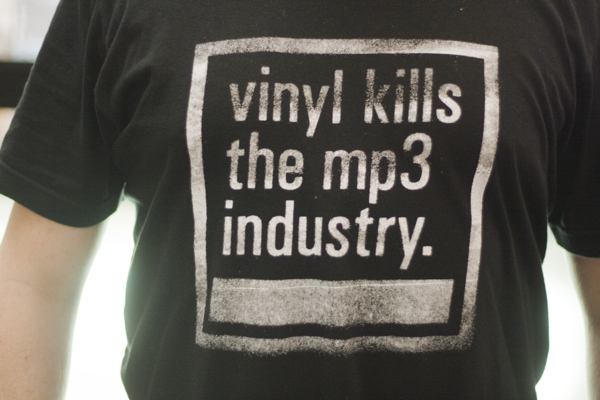 Vinyl itself is surely not to blame here; it should just raise some questions. Presumably, not all digitally-produced music really fits vinyl as a medium. And the right way to make that fit work is to really listen and apply some scientific understanding of the process. Gino Robair, one of my favorite EM writers over the years, goes through some detail about preparing mixes for vinyl as the delivery medium. Part of what you’ll find is a reminder of why engineers were excited about digital in the first place: there’s a greater ability in digital recordings to capture certain details of the high and low end that would distort in an analog recording. So long as you go into the reality of these limitations with your eyes (or make that ears) open, it can be a good experience as a producer, and for your listeners. This raises still more scientific and perceptual questions, though. I’m not entirely convinced – I haven’t seen evidence in either direction – that it’s in any way necessary to use a 24-bit, 96kHz master for a vinyl release. (Gino points to the example of Arcade Fire using that as the master.) It certainly can’t hurt, especially in the era of cheap storage. But as in direct-digital delivery, the question is whether you really gain from the higher-resolution file. The only way to know for sure would be to do lab-style experimentation and find out, and as readers have lamented on this site before, there’s not a whole lot of that going on. Yeah, we still love you. Photo (CC-BY) Karen Horton. Vinyl’s good; vinyl’s unique. (So, too, are cassette tapes and other media with which music producers have been re-discovering of late.) It just means that any claims about vinyl’s resurgence should be scaled against the growth of other distribution outlets, and that we should ask honest questions about sound, not just accept either digital or analog claims of “quality” without evaluation. And I also wonder whether it’s possible to begin to appreciate digital recording with foresight as much as it is vinyl with hindsight. How can we make the most of the format we have today? How can we understand it, in virtual form, as physical object? At the end of the day, “analog” is not real. (Hence the name.) A recording is an artificial and imperfect snapshot of an event that occurred in the past, frozen in time in an impossible way. It’s what is beautiful about recording, and what terrified, or at least confused, some of those who first heard it. It is a technology conceived as a precursor to email, as a kind of business memo. It has become to many what music is, rather than the reflection of musical performance. It has had a devastating impact on many forms of live performance, emptying bandstands and causing live players their livelihood before anyone became concerned about whether the record industry that was left would lose its financial well-being. The “record,” whether it’s a cassette tape or a FLAC download, is strange and unnatural, with the ability to bring to life dead musicians and performances that never existed in one place. And yes, we do really love it.